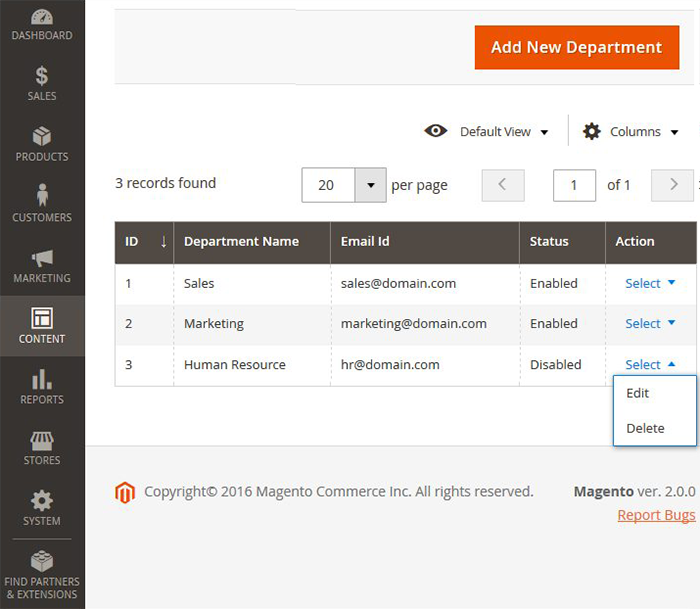 ADVANCE CONTACT US MAGENTO® 2 The usual Contact Us form enhanced with Department field. 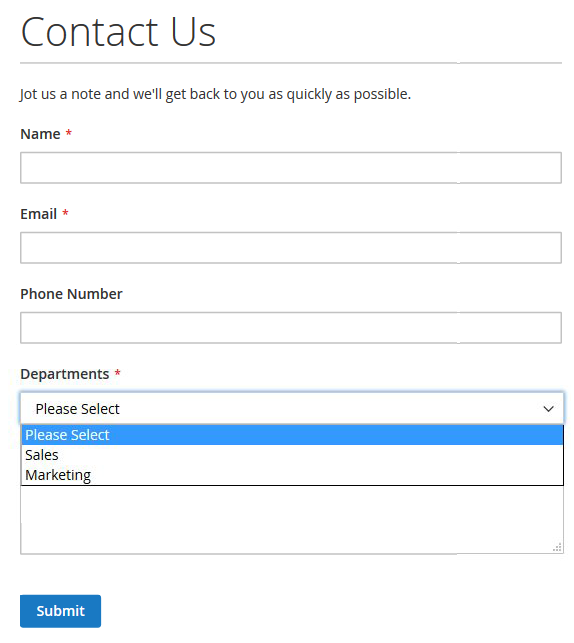 Customers can choose the relevant department from the drop-down provided on the Contact Us form. 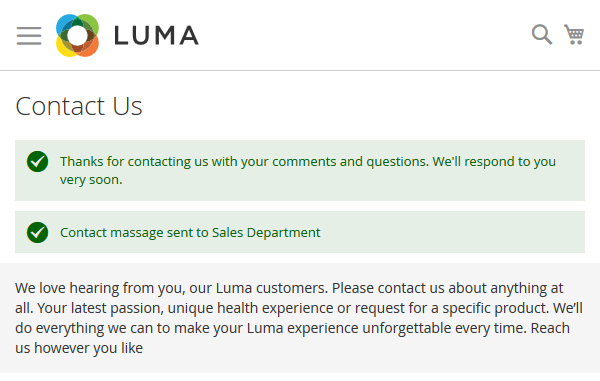 The usual Contact Us form enhanced with Department field. 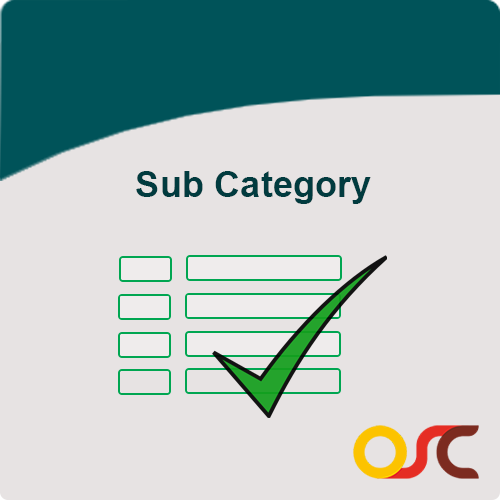 Customers can choose the relevant department from the drop-down provided on the Contact Us form. This ensures that the query will be replied accordingly. Support team also get relief from directing customer queries to different departments. Which in turn reduces the time taken to reply the customer. The enquiries are categorized automatically by the Email Id specified. 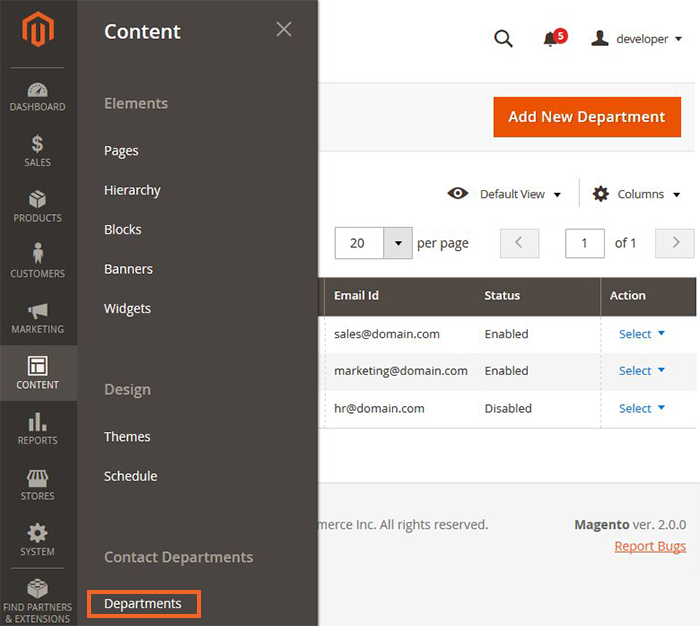 Just mention the particular department Email Id from Admin and redirect the customer emails to specific department.